Science is a fascinating subject which can enthuse, intrigue and inspire children. 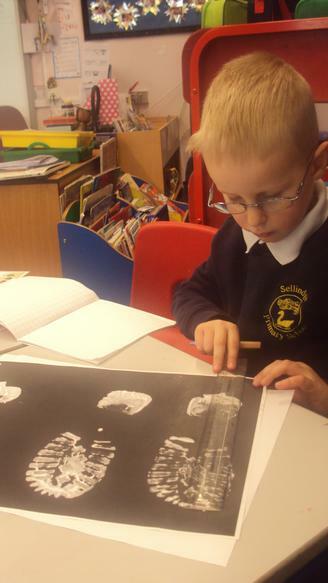 Science gives children the opportunity to investigate, explore and make sense of what is happening around them! Through Science, we aim for pupils to understand how scientific ideas contribute to technological change. Pupils learn to question and discuss Science based issues that may affect their own lives. At Sellindge KS1 pupils observe, explore and ask questions about living things, materials and living phenomena. They share ideas and communicate them using Scientific language, drawings, charts and tables with the support of ICT. We aim to stimulate and excite pupils’ curiosity about events in the world around them. Through Science, we aim for pupils to understand how scientific ideas contribute to technological change. Pupils learn to question and discuss Science based issues that may affect their own lives. The children of Sellindge have just solved the mystery of ‘who dunnit?’ They worked hard as detectives, piecing together the puzzle to work out which member of staff; vandalised the library, stole a computer and broke the CCTV camera! Hedgehogs, Squirrels and Otters carried out chromatography investigations to link the pens of the suspects to some handwritten notes found at the scene of the crime. Badgers class completed a soil analysis, matching the PH of the soil from a muddy foot print to soil samples taken from various areas of the school visited by the suspects. 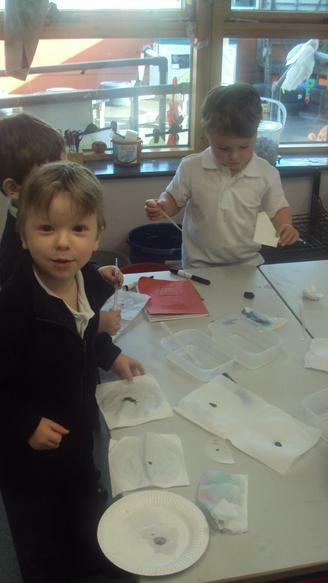 Foxes class carried out a powder analysis, which linked a powdery footprint to the Office. It was great to see the children so enthusiastic and to see how hard they worked. It gave the children an idea of the importance of science. They learned how investigations can be used in real life; the value of recording results and the crucial role of observation skills. The 'Laboratory Zone' during Crystal Maze week!